Size: This large species may reach 80 mm in length and 10–12 mm in width. The Feather Duster Worm is found in holes and crevices of rocky substrates and coral assemblages, but may also be encountered on consolidated carbonate layers covered with sand. It is a filter feeder using cilia on its tentacles to catch organic particles that float past. The particles are channeled along mucus-filled grooves to the mouth. The tentacles are also used as gills. After fertilization, eggs hatch in the water column and larvae settle out and grow into adult worms after a short planktonic stage. The species is widely distributed in the Indo-Pacific from East Africa, the Red Sea, and the Arabian Gulf, to southern and south-eastern Asia, Australia, Hawaii and the Eastern Pacific. Sabellastarte spectabilis has not yet been assessed for the IUCN Red List of Threatened Species. 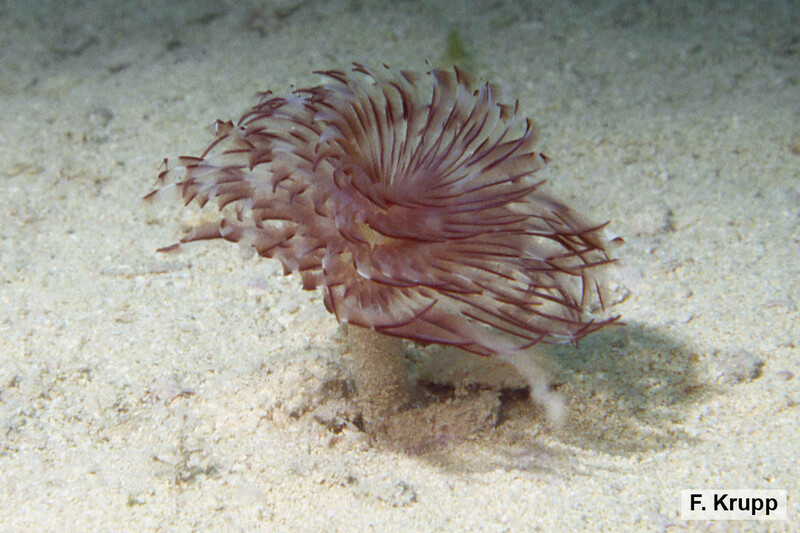 Sabellastarte spectabilis is a large tubicolous worm with two-lobed food gathering gills, forming a circular disc when expanded. 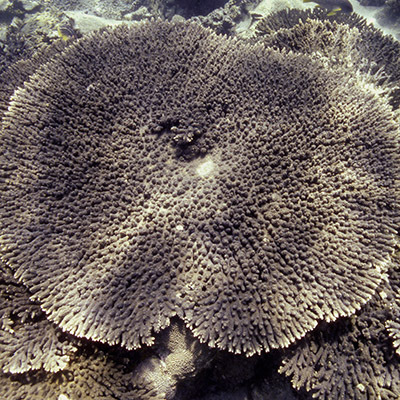 The branched tentacles (radioles) lack small, finger-like projections on the tentacles (stylodes). The species inhabits leathery tubes covered with fine mud. The tentacles that are exposed when the worm is undisturbed are striped in dark and pale brown bands and without eye spots.